A skeleton delivered the Halloween weather report in Kentucky - trendistic.com: ever tried. ever failed. no matter. try again. fail again. fail better. 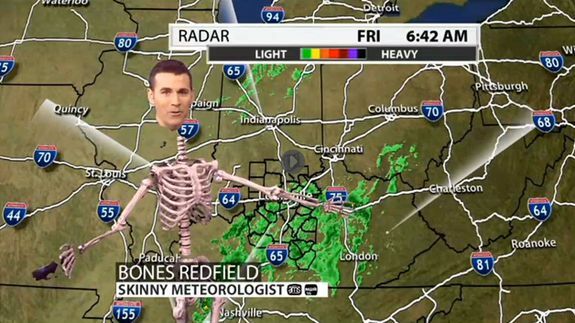 As a Halloween treat, Jude “Bones” Redfield of WDRB in Louisville, Kentucky, reported the weather as a skeleton with a little help from a green screen. It makes sense: Who better to trust than a skeleton to let you know about trick-or-treating weather?